Home Beta-alanine….A medicine in the waiting! Hi guys and thanks for logging into my first post as part of the BrinkZone. It’s an honor to be involved in such an active and voraciously inquisitive online community dedicated to the real application of nutrition science. 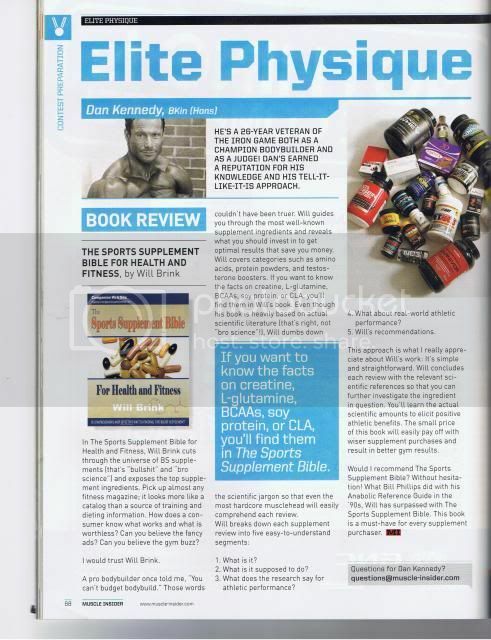 As many of you know I have been deeply involved in research of carnosine and its functions in skeletal muscle. However, recently I was contacted by a write from the Times newspaper (UK) who were conducting research into the medical nutrition, or Mediceuticals as some are defining it. My current work involves patients with genetic conditions leading them to develop extremely high lactate levels inside muscle tissue and associated acidosis (low pH) (Muscle myopathies and cytopathies). Acidosis is related to the fatigue you feel at the end of very high intensity exercise, or at the end of high rep calf rises. However, in the patients I look at the level of acidosis is at levels found during high intensity exercise when they at rest. In real terms this can mean just lifting a tin of beans up can be a real effort. Since the 1990’s and pioneering work by Dr Mark Dunnett in the field of carnosine metabolism and beta-alanine supplementation it is clear that we can help maintain lower levels of intracellular acidosis in muscle tissue. The future of beta-alanine may next follow the path of creatine as a Mediceutical offering application in the treatment or symptom relief in brain and muscle diseases. In patents suffering from intracellular acidosis and or low muscle carnosine levels (as in old age) beta-alanine supplementation may be a novel therapeutic. *Beta-Alanine update: Just as a note of interest in a recent publication in the Journal “Amino Acids” researcher have shown that DHA (An Omega-3 fatty acid) reduced concentrations of carnosine in skeletal muscle in an animal study. Although this is an animal trial it maybe worthy avoiding fish oil products at the same time as supplementing with beta-alanine. I would recommend an early morning beta-alanine does and pre-bed time fish oil if you must take both. Other wise cycle beta-alanine 4 weeks on (no supplemental fish oils) 4 weeks off (back on the fish oils). Li P, Kim SW, Li X, Datta S, Pond WG, Wu G.Dietary supplementation with cholesterol and docosahexaenoic acid affects concentrations of amino acids in tissues of young pigs. Amino Acids. 2008 Oct 30. Charles’ Philosophy (Short Version)Hoodia,Is the ride finally over? I would recommend an early morning beta-alanine dose and pre-bed time fish oil if you must take both. Mark, I thought it was necessary to take several doses of beta-alanine daily to get the therapeutic effect. The multiple does idea was utilized to cut down on the paresthesia experienced in about 60% of uses when they take more than 400mg dose. It was not initially developed as some sort of receptor optimization strategy as with creatine. The most utilized dose is 3.2g/d (1.6 x2). However, single bolus servings are also effective. Even doses as low as 1-1.5g per day should be effective and over time increase muscle carnosine levels. Interesting indeed. But I have a question, what it would be a good dose of each one, I mean, depending on the manufacturing company, concentrations (both fish oil and Beta-alanine) vary, so to be more accurate, what is the best dose of each product (in milliliters)?. In regards beta-alanine the performance trials are based on an intake of 3.2g per day so if you want a guarantee of performance within a set period of time then that’s the dose. However, similar effects could be obtained over a longer period of time with a lower dose. Fish oil dose really depends on what your goal is with that ingredient/s. Mark, seems to take above 5g in a single dose for me to experience paresthesia. Below that I am fine. For those who don’t know what that means, think of the niacin flush. Same deal. Red itchy face that lasts a little while and goes away. Any thoughts on with food or without and if so, foods or supps not to take with with besides (possible) fish oil supps? Personally, I put a dose just below what causes me paresthesia (approx 4-5g) in my water bottle, along with some other products, and drink it throughout my workouts. Foods is a good question…Most studies have been carried out on NAI’s Carnosyn (a sustained release version of beta-alanine). However, in the few studies that have used plain beta-alanine seem to deliver similar uptake effects (although Carnosyn has not been compared directly to generic beta-alanine as far as I know). Thanks for your response, Mark. Any idea why the DHA caused the decrease in skeletal muscle carnosine levels and why this might be ameliorated by taking them at separate times of the day? Yep….but will keep them for a future article! Thank you Mark and Will for your responses. Now I already went through the article Will recommended so I also got the recommended dose for fish oil. I am looking forward to reading your next articles. Great if Beta Alanine works for those affected with intracellular acidosis . Now, for us who wish to benefit from the cell protection, reversal (hopefully) of cell senescence and Protein Glycation etc. Any further advances on the research front? I see Beta Alanine is very popular on the Body Building sites, but find minimal info about combating aging and effects of. Is the paraesthesia associated with ingestion of Beta Alanine a benign symptom? Any idea how one should supplement with this amino acid? Carnosine is very pricey and if Beta Alanine can convert to Carnosine…even better.